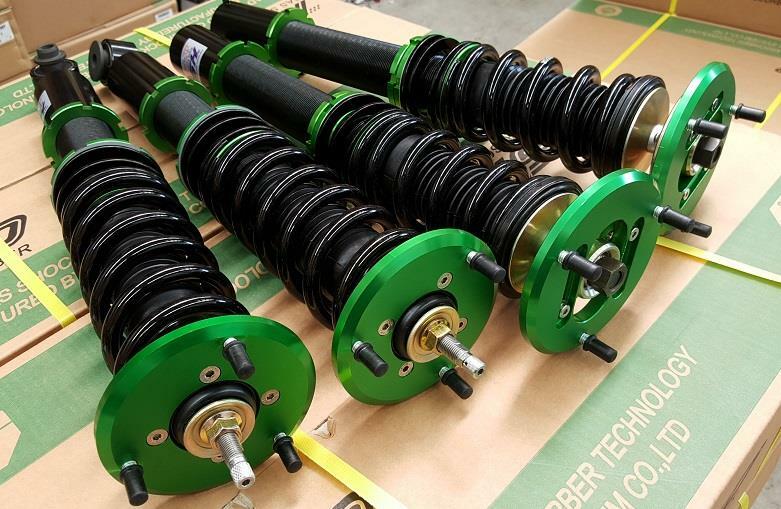 Produced by HD System in Korea, HSD Monopro coilovers offer fantastic performance and quality at an affordable price. The key feature of the Monopro is competition-oriented mono-tube dampers, with 44mm pistons. The dampers in the front struts are also inverted for greater strength and reduced unsprung weight. The dampers have 16-step adjustment, with a clear difference felt for every step. Spring rates are aimed at club-level racing, but still compliant enough for every-day driving.